With fall already here, we find our selves as a family drawn outside. We know that soon the warm fall breezes will be blowing in cold winter snow. 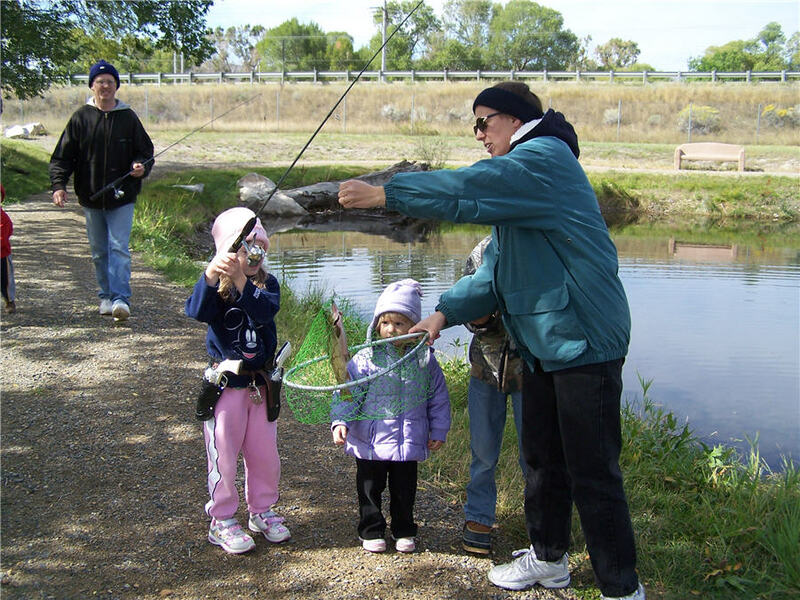 Fishing is one of our favorite things to do as a family. Even our smallest has learned to watch the bobber and crank the reel when it disappears under the water’s surface. One point to ponder is the variety of fish that can be caught in a single pond. With four kids and six rods there is no end of baiting hooks, untangling lines, and unhooking fish. Recently, in the span of an afternoon, we caught four different species of fish. Soon our children began to learn the characteristics of each and could identify them by name. And so with the peoples of this vast world, we are all sinners which Christ paid the ultimate price for — His very life. The blood shed on the cross cancels out the debt of sin for anyone who believes, regardless of race or creed. Fish come in many shapes, sizes, and colors, but almost all of them can be caught with one type of bait or another. By studying a species and experimenting with various lore the fisherman learns what works best. This same philosophy applies to Fishing for Men. We each come into contact with people that are unique to us. By building relationships and reaching out to hearts we can each share the gift of salvation with our friends and family. This also applies to the outreach of the church. In various areas of the world different avenues of outreach work well. Knocking on doors, passing out tracts to tellers and cashiers, and getting sharing the the Good News of Jesus Christ is so important. We also like to take the opportunity with special events of the church to go and invite people. Often we will blanket the town with Christmas Play fliers or Thanksgiving Dinner Invitations. For more rural communities small churches have benefited by bulk mailings. Through sending out a friendly invitation with information on the church ministries and activities it kept the community up to date. One time we had an older lady come to a Ladies Bible Study. No one knew who she was. She sat and took notes, then in the prayer time she asked us to pray for her lost son and his girl friend. A year later the son and girl friend began coming to church and got saved. Today they have to small girls and are a pillar family in their church. When asked how the mother found our church, she said that every time she got our little post card in the mail she felt God tugging on her heart to attend. Being involved in community activities is also important to us. This year at the Potato Festival we passed out almost 200 Popsicles. We made contact with many new faces, and some we already were acquainted with that day. A Popsicle on a 90 degree day reminds us of when Jesus spoke of giving a cup of cold water in His name. Another favorite activity for us is the Gallatin County Fair. For three years now we have passed out balloons, tracts, candy, etc. This year we broke our record and gave away 600. So many people were impressed that we were passing out free balloons and decorating them with the children’s names (and the church name too!). So there are many ‘baits’ for winning people to Christ. Matthew 28: 18-20 is the Great Commission. Many of the disciples were fishermen before they served the Lord. Each and every person needs to have the chance to hear the Gospel. « What Bait Are You Using?